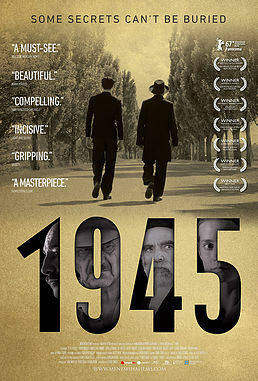 The Gross Center for Holocaust and Genocide Studies will screen the film, “1945,” on Thursday, April 4 at 10 a.m. in the H-wing Auditorium (H-129) at Ramapo College of New Jersey. The program is free and open to the public. 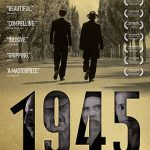 Directed by Ferenc Török and based on the acclaimed short story Homecoming by Gábor T. Szántó, the film “1945” tells the story of the return of an observant Jew and his son to a village in Hungary just as the inhabitants are preparing for the wedding of the town clerk’s son. The townspeople – suspicious, remorseful, fearful and cunning – expect the worst and behave accordingly. Shot in gorgeous, high-contrast black-and-white, “1945” is a commentary on treachery and guilt during and after the Holocaust. The film was supposed to be shown twice last spring semester in connection with a memorial for deceased Gross Center Advisory Board member, John Gunzler, but both times weather events forced their cancellation. TEACHERS WORKSHOP– Ethnic Cleansing: When Does it Become Genocide?